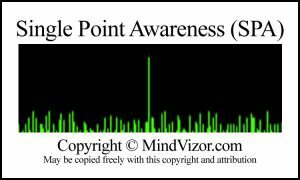 Single Point Awareness (SPA) – where you are totally immersed in a single object of your attention (all attention seekers are quieted, except one). Of these two targeted brain states, The Harmony Point is usually considered the ultimate destination, and the more powerful of the two. It’s also harder to reach directly, because you have to be able to control all of your attention seekers, across all realms of awareness (physical, mental, emotional, spiritual, etc.). That’s why many traditions begin with some version of Single Point Awareness … As you can see above, there really isn’t that much difference between THP and SPA. And once you get to one of these states, you can easily get to the other. Since it’s easier to focus on one attention seeker rather than quieting all them, many traditions start with low intensity SPA approaches. Transcendental Meditation is a good example of this. Focusing on something like a mantra quiets all of the other attention seekers, until your mind gets bored and stops focusing all together — leaving you at The Harmony Point. Enter into a meditative position, and focus your attention on your breath. How quickly are you breathing? How deep are your breaths? Once this is comfortable, add expansive breathing (when you reach your natural limit for inhaling or exhaling, extend your breath just a bit further). Long slow breath in, breath in a little more, long slow breath out, breath out a little more …. Next, add rhythmic breathing (where the transition from inhaling to exhaling is continuous, the way babies breath) and/or other variations as desired. When you are done taking your breath through all of these motions, allow your breath to return to its natural state. Feel this, recognize this, remember this. This is now your new normal breathing. You have just entered into Single Point Awareness with your breath, and become more aware of the normal range and optimal condition of your breathing. In effect, you have just focused in on one green line, stretched and compressed it, then allowed it to return to its natural position. You have just “reset” one attention seeker. This simple meditation is a metaphor for taking control over all of your “awarenesses.” You see, this process of resetting works for all green lines — it works for all attention seekers. Next time, we’ll explore how to reset attention seekers by realm, starting with the physical, then mental, emotional, and spiritual. So, what are these brain states, and how do we get there? 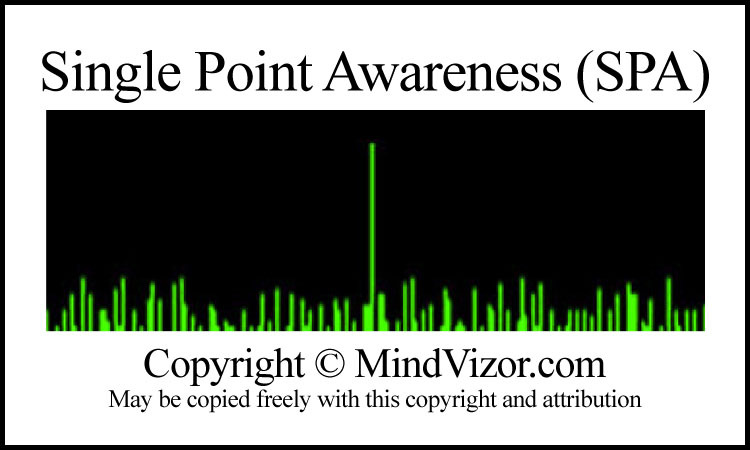 Single Point Awareness is THP plus a single point of focus for your awareness. This focused awareness can occur with any of the green lines, meaning that it can be of a physical, mental, emotional, or spiritual nature. SPA can also vary by intensity (how big the line is). Many traditions, for example, teach low intensity approaches like staring at a candle or mirror, focusing on your breath, chanting, rocking, or spinning. Initially, focusing on something boring quiets all of the other attention seekers. Eventually, your mind gets bored and stops focusing all together, leaving all attention seekers quieted (aka The Harmony Point). SPA can also be more intense, resulting in higher states of consciousness. Arguably, most human progress occurs within this type of Single Point Awareness. Our most celebrated sports heroes, our most famous artists, musicians, writers, and scientists, and our most respected spiritual and emotional leaders, report that SPA-like conditions led to their most significant achievements. The most intense form of SPA is Transcendence. That’s when SPA “breaks through” to something outside of normal awareness. Some say it’s a connection to source, or to God, or to the Akashic records. Whatever it is, it’s unusual, profound, and life changing. In closing, it’s important to recognize that these higher brain states can occur at any time, with or without preparation. However, those who pursue a regular meditation practice are more likely to attain these states, and benefit as a result. What does Christianity share with Native American traditions? What does the Kabbalah share with ancient Sumerian traditions? As different as our many world traditions are, they all share some approach to higher states of consciousness. While their approaches may vary, their ultimate destination is the same. 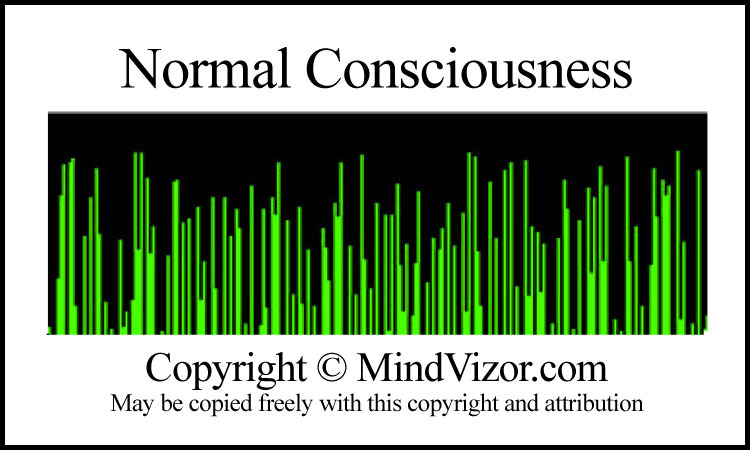 To reach this common destination, they target similar brain states that are conducive to the transcendent experience. Last time, we defined the most commonly targeted brain state as The Harmony Point. Today, we’ll define the second most targeted brain state, and explain how these two states are related to transcendence. 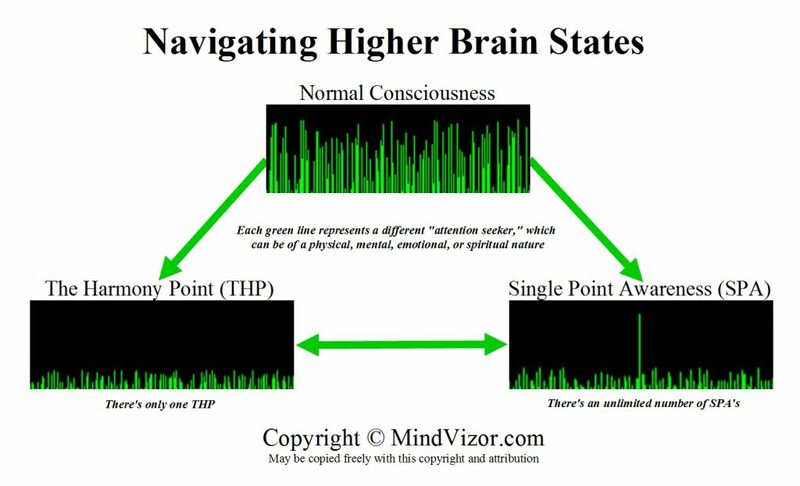 If The Harmony Point (THP) is the launching pad to higher states of consciousness, then Single Point Awareness is the gateway. Single Point Awareness (SPA) is the total immersion in a single object of your attention, without regard to any other distractions. It is in effect, THP plus a single point of focus. 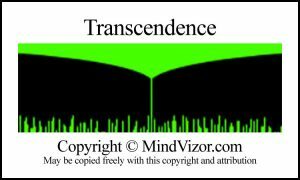 So what do these interim brain states have to do with transcendence? World traditions seem to have very different definitions of transcendence. Some claim that it’s a way to connect with God, or a specific prophet or angel. Older traditions are more likely to claim it’s a connection to spirits, or pagan gods or other worldly beings. When defined this way, many artist, musicians, and scientists have also had transcendent experiences. Just listen to how they describe the moment they get their creative spark, or see something no one has every seen before. You’ll be amazed at how similar their descriptions align. They are all describing transcendent experiences. I always get excited when I hear or read about someone describing a transcendent experience. Most recently, it was Gregg Allman describing how he came to write one of his songs. I’ve heard similar stories about Albert Einstein, Nicholas Tesla, and even Steve Jobs. Bottom line – transcendence is a good thing for people and society, which is why I’m so passionate about this topic. In my last article, I wrote about Transcending Consciousness, and how the experience of its highest state is shared by many world traditions. I also described the techniques these traditions follow to prepare for transcendence, and how they align in their goal of a common receptive brain state. One of the results of floating is a state where you are completely passive, where every cell and muscle in your body is in balance with its surroundings, where every thought in your head is silent, or observed without reaction or judgement. In other words, you are one with the universe, completely passive to all the forces around you. 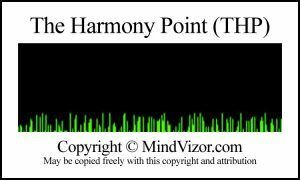 This is “The Harmony Point” – the launching pad to higher states of consciousness. There are many ways to reach The Harmony Point. When you are not floating, The Harmony Point becomes that state where you counter the additional forces aligned against you, with the minimal amount of effort required to maintain your stasis. 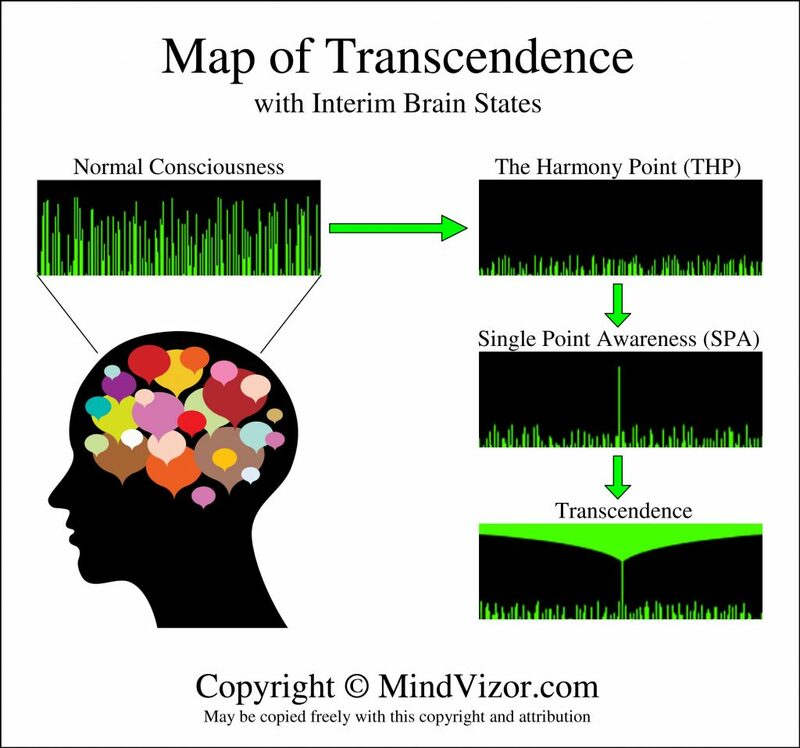 Adding this to our map of higher consciousness, The Harmony Point becomes an easy interim destination to reach. Getting to the mountain top, however, sometimes requires more than just a map. Imagine if you wanted to climb Mount Everest. Not only would you need a map, you’d also need a guide, special equipment and special training. And even that would not be enough — you’d also need to acclimate to your new environment before attempting to move up the mountain. And so it is with meditation. Entering The Harmony Point is just a starting point. Every transcendent experience elevates you to a higher level of consciousness. And at each of these levels, you’ll need to acclimate to your new reality before you’ll be ready for your next transcendent experience. That’s why transcendent experiences are not available on demand, and may only occur a few times over the course of a lifetime. It also confirms that there are many levels of consciousness between where we start, and the ultimate destination of union that so many seek. Whenever you want to get to a destination, it is often helpful to have a map that can lead the way. Especially if you’ve never been there before. 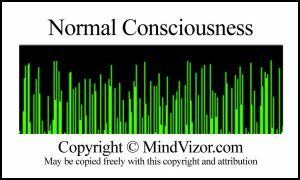 While numerous maps of consciousness exist, what I find interesting is that they all share a common description of their highest state. Whether you call it Nirvana, connecting with Source, or being one with the Holy Spirit, the experience of it is the same. All of the major world religions align on this point, especially within their mystical traditions. While it’s more openly embraced within the eastern traditions, it also exists within Judaism (the Kabbalah), within Islam (Sufism), and within the Christian traditions (Contemplative Prayer). These transcendent experiences are unusual, profound, and life-changing. Many people never have this experience. Those that do often find their lives change drastically after the event. While the experience of transcendence is the same, the way each of these religions introduces people to the state varies quite dramatically. Unfortunately, there are no techniques you can follow that will guarantee you a transcendent experience. There are, however, some that consistently help. One common technique is to quiet your mind to the point of silence—a very difficult thing to do. Those that are successful, however, are only prepared for transcendence, not guaranteed access to it. One of the easiest ways to quiet your mind is to completely eliminate distractions. And floating in a sensory depravation tank is one of the easiest ways to eliminate distractions. When you enter one of these tanks, you enter a world that is completely pitch black, utterly silent, with no tastes and no smells. And because the water is Epsom salt rich and heated to the same temperature as your body, you float in an environment where you don’t even feel sensations on your skin. When people float, they quickly enter an altered state of consciousness—a state where higher levels of consciousness become more accessible. Once attained, people can use this state to improve mindfulness, or to remain passive in their pursuit of transcendence. Just like any other traveler, the more often you visit an exotic location, the easier it is for you to find your way there. And that’s a good thing, because floating is both expensive and inconvenient. 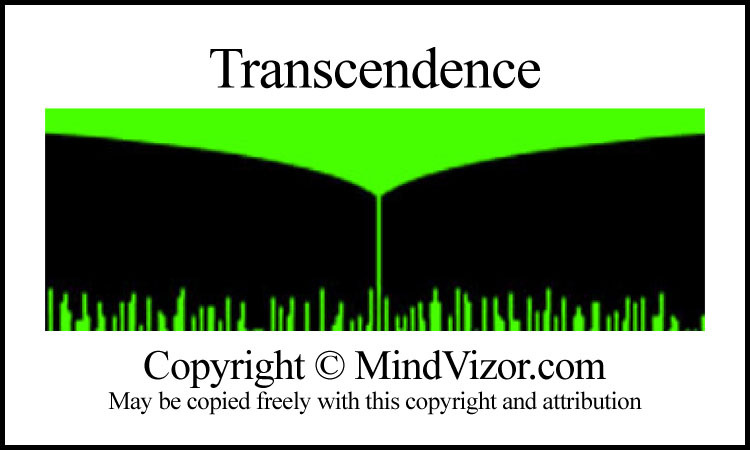 To summarize, your journey to transcendence begins with quieting the mind toward a receptive brain state. One of the easiest ways to achieve this state is through floating. Once you reach this destination, revisit it often using the most convenient technique that works for you. Frequent travelers benefit from increasing mindfulness and, if lucky, a transcendent experience or two over the course of a lifetime. Happy travels, and best wishes on your journey.